Ke Ma Timro Hoina Ra (2073 / 2016) . 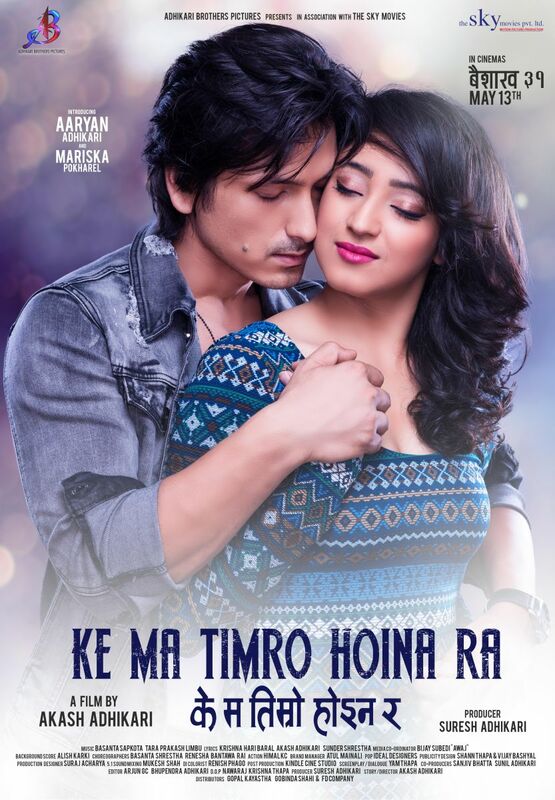 Ke Ma Timro Hoina Ra is the upcoming movie of Akash Adhikari. The movie is named after the song of "K Ma Timro Hoina Ra" from the movie KOHINOOR starring late superstar Shree Krishna Shrestha.The movie cast new actor Aaryan Adhikari & actress Mariska Pokharel. The movie is expected to be released on 13th May 2016. 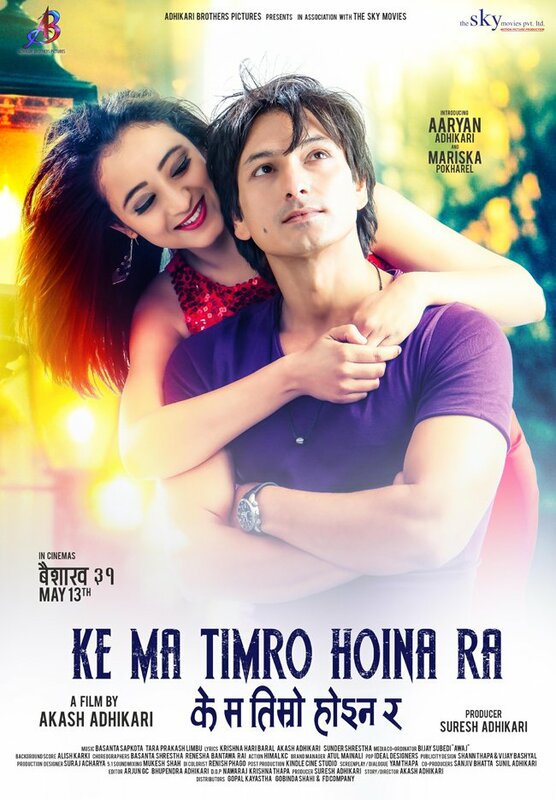 Adhikari Brothers Pictures Presents, a Film by Akash Adhikari, Nepali Movie KE MA TIMRO HAINARA.